Whether you're performing or recording, the BOSS GT-1B bass multi-effects processor gives you the tools you need to craft a stellar bass tone in any application. Loaded with BOSS's most advanced sound engine, you'll be able to tap into a huge range of amplifier and effects models — and you can always download new pro-created patches for free at BOSS Tone Central. It's fast and easy to tweak presets and create your own patches, and support for battery-powered operation makes it the perfect travel companion. 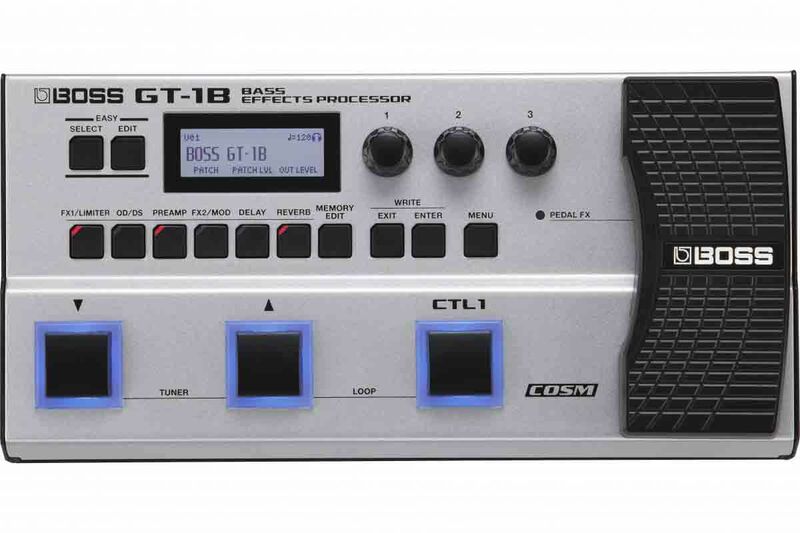 If you play electric bass, the BOSS GT-1B processor was made to be your one-stop tone solution for gigging and recording.